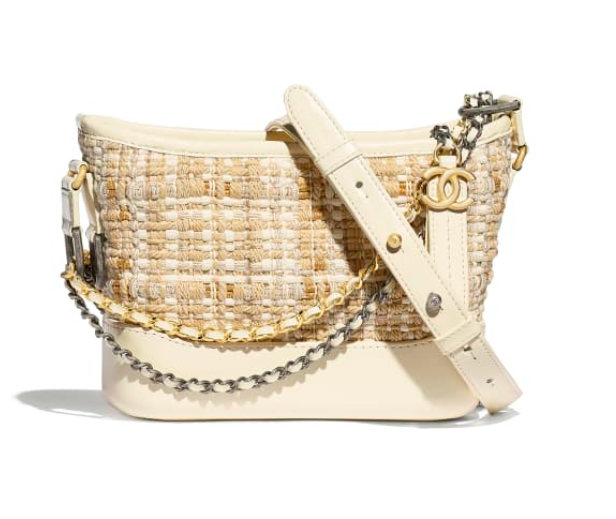 Chanel's latest Spring-Summer 2019 collection reveals striking white and beige bags that will give you all the good vibes. There's something about white and light cream colours that make one feel lighter. Are you in for a decluttering and lighter 2019? Here goes! 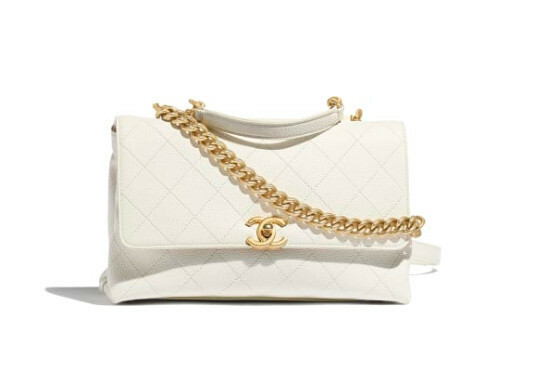 Featuring an ivory white body, with gold-toned metal chains. This small light-weight bag can only accommodate a few small items and be used as a waist bag. What do you really need to carry around? 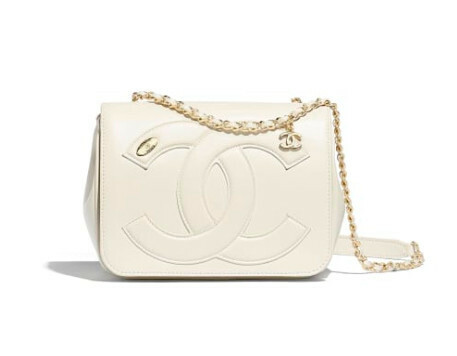 Try switching to a small bag this year and say no to big bulky bag! The texture on this bag is second compared to none. 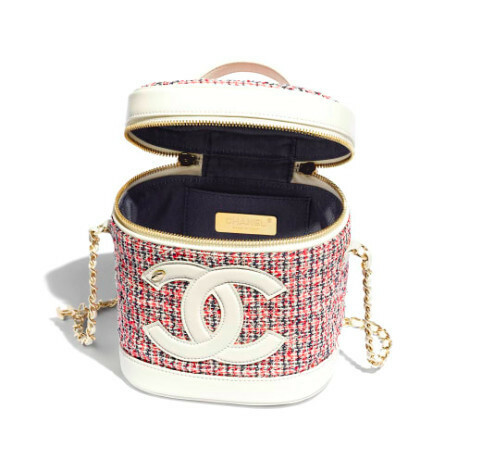 If you want a Chanel handbag, yet a step away from conventional Chanel bags, this is the one for you. A combination of embroidered calfskin and smooth calfskin. 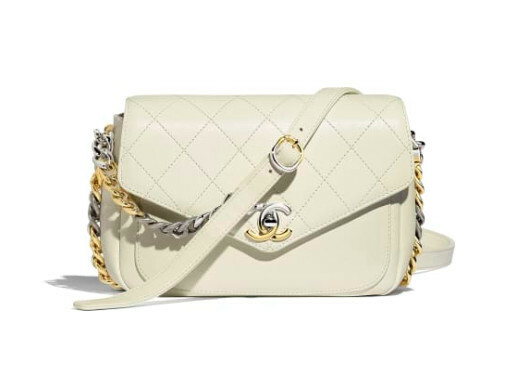 Elegance in the form of a white grained calfskin and full gold-toned metal chain. When you can't decide between silver or gold, this is the perfect hybrid of both. 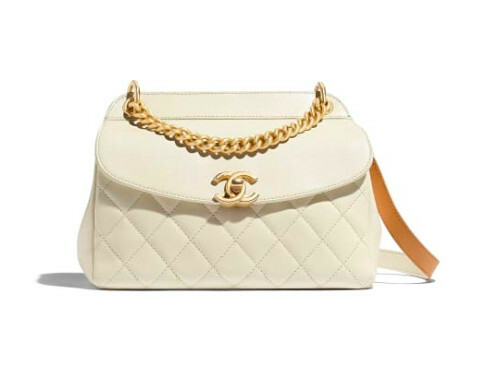 A fusion of beige and ivory, gold-toned and silver-toned chains. A perfect gift if you're feeling generous. 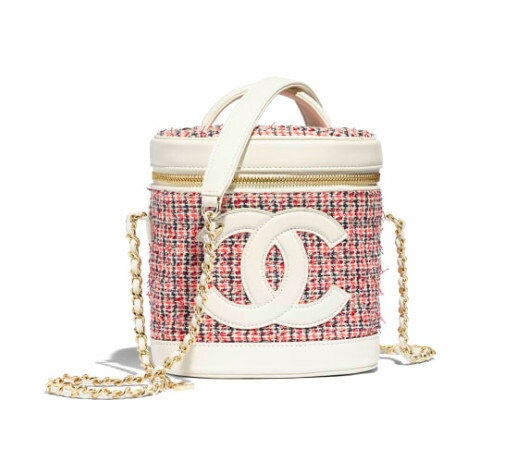 Vanity case can't get any prettier and classier than this 'round bucket' from Chanel. Designed for the ultimate convenience and class. This vanity case is essentially a bag that will maintain its shape. GREAT. On a side note, no fear of spillage if you try to sneak in bubble tea with this. For pricing and more details, click on the photo source below.